Next week I will be launching a brand new product, something I have been working on for months, called the Facebook Live Marketing Blueprint. But, this article isn’t really about that and, unless you are really looking hard, you won’t find the course anywhere online because we haven’t started advertising it yet. And yet, I have already sold the course numerous times! In fact, I have already sold multiple five-figures of the product and I haven’t spent a single penny on advertising! Even the people who bought the course already didn’t really feel like I was selling it to them. Huh? How did I do it? Let me share with you my system for creating multiple five figures in sales without spending a penny on advertising. I think this will all start to make sense in just a few minutes. More importantly, you might be able to use this system to pre-launch YOUR product or service! How do you feel when you walk into a furniture store and someone immediately offers to “help” you? Or you go shopping for a new car and as soon as you open your car door to get out, someone is right there in your face? Or when someone friends you on Facebook and they immediately rush at you with a hardline offer to buy one of their product or service? Like running, right? Sorry, no hitting allowed :-). What if, in the process of solving that problem, they also happen to have a tool, a product or a service that will help you solve that problem? Aren’t you more likely to buy that solution? That was the whole premise behind three open, LIVE webinars I did last week. 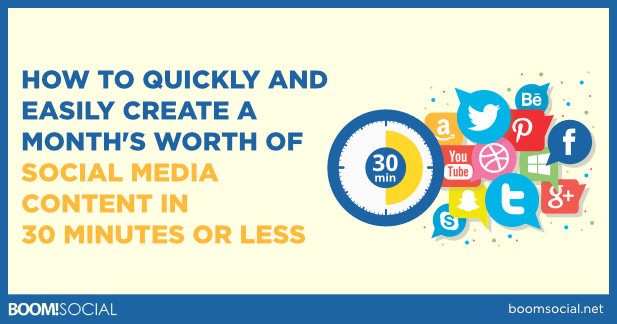 My goal was to show business owners how to create 30 days worth of social media content, enough to power ALL of their social media sites, in 30 minutes or less. I know this is a HUGE problem for us as business owners. Keeping up with all this social media content can be a full time job and we have a business to run, right? I wanted to get this information into the hands of my online family, first, before I launched the product to the public. So, I sent a few emails to my list to let them know I was doing this training. The goal was to help anyone who had this problem. Again, the problem where you spend hours every day trying to come up with next Facebook post or catchy tweet, or brilliant blog post idea. Apparently A LOT of people have this problem because 5,782 signed up for one of the 3 sessions. So, once I “tricked” them into signing up for a webinar which, in reality was just a thinly veiled sales presentation, I pushed my Facebook Live Marketing Blueprint Course down their throat one painful PowerPoint slide after another, right? I just told them exactly HOW I actually created 30 days worth of social media content from ONE great idea in 30 minutes or less using Facebook Live. Did ya’ notice what I just said? Did I even mention that I was launching my Facebook Live Marekting Blueprint Course next week when I advertised this webinar series? No, I did not! Coincidence? Nope, not even a little bit. This series was intended to over-deliver and give the secret sauce! I just gave them my system, step-by-step. If that weren’t enough, I even wrote it down, created a PDF and emailed it to them after the webinar. If even that weren’t enough, I invited the first 100 attendees who purchased the course to a special two-workshop series. This workshop was designed to take a deeper dive (more training) into what I just gave them for free. In that workshop, I promised to show them how personally how I take ONE, 30-minute Facebook Live broadcast and turn it into 150 – 250 individual pieces of content for posting on multiple social media sites using multiple different formats and all without spending a ton of money, a ton of time or breaking a sweat. All you needed to do, was buy my Facebook Live Marketing Blueprint Course at the introductory price of $197. That’s how I sold way more than a hundred copies of a course that hasn’t even officially launched yet. You can do the math on what that means revenue-wise. People have a little trigger in their head that flips as soon as they sense they are being sold something. By identifying a pain point for my community and simply offering them a solution I allowed them to be in charge. Think about that…they opted in to a free online training even though they were already on my list! That’s a very powerful sign that they have a problem and want some help solving it. But, instead of offering to sell them my “expert-level secrets”, for a ton of dough, I simply gave it to them. In fact, I wrote the solution down and emailed it to them. Now, for some of them, that’s all they needed. They were off and running and could take it from there. Nope, not even close. I have made a substantial deposit of goodwill in their bank accounts. More than likely, I will see them again down the road and chances are, that sometime in the future, they WILL buy something from me. Because I took the time to give them something valuable that would make a difference in their business. But, for a significant percentage, they wanted, and were prepared to pay for even more help. Those are the ones that bought the course. This is not a “works one-time” solution and it’s success had nothing to do with luck. I pre-launched another product and had similar success just last month. And, a lot of my friends are now using this system and having similar results. 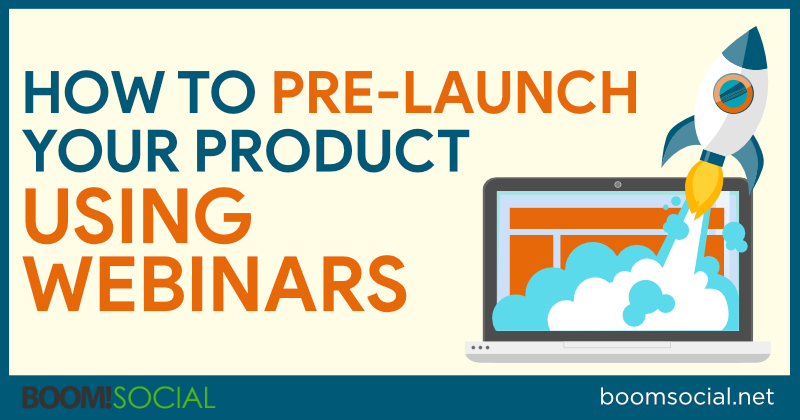 The next time you are launching a new product, run a series of live education-based webinars the week before. Invite your entire online community (email list, Facebook Fans, Twitter followers, etc.) to them and teach them something they can use. If you really want to provide value, give them a worksheet, guide, checklist or something else that actually helps them accomplish what you have taught them after the webinar. Have what you are teaching them relate to the product you eventually want to sell them. Then, offer a special workshop for the people who are prepared to purchase the product now. You may not do multiple five figures in sales right out of the gate, but you will find your first buyers and warm up your entire community to the product you are getting ready to offer them in a completely unalarming way. What do you think? Can my pre-launch webinar system work for you? I would love to hear your comments below. How long was every webinar?